This beautiful, beautiful piece (by A. Papatya Bucak in Brevity) that reads like a manifesto for the writing life. You'll be happy you read it. Another wonderful piece (by Lisa Fay Coutley in Passages North) on writing, place, and longing. Anne Valente's An Elegy for Mathematics (Origami Zoo Press). A poetic, innovative book of so-called "small stories." Read one of the pieces, "He Who Finds It Lives Forever" online at Necessary Fiction. Lynda Barry's syllabus (kindly posted by Austin Kleon). I wish my syllabus looked as fun as this! And you, friends? Happy weekend! So, I've got questions for you, fellow creative types (I'm working on a little project.) When you are creative/when you make art, how does it feel? What sensations or emotions register as you create art? When you make art, do you feel more present or less present? What kind of a mental space do you envision (if any)? What, if anything, is consistent about the emotional space from which you create? Thanks for any thoughts you choose to share. 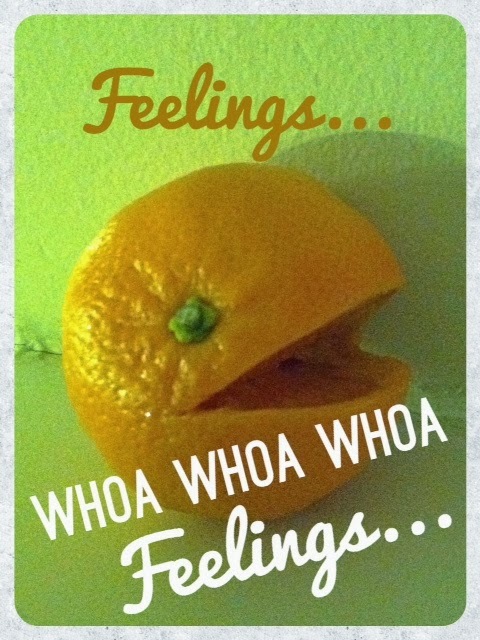 Also, orange you glad it's almost the weekend? Break the barbed plant to heal a burn. drowsiness is how sleep reaches for us. Sleep is a many-tentacled thing. Everything is a many-tentacled thing. Recent Earworm: Janelle Monáe's "Dance Apocalyptic"
Cannot get this song out of my head, which is not necessarily a bad thing. So catchy! What songs are living in your brain these days? for a glimpse of you in your kayak. A dusty bazaar with reams of scarves. without humans for fifty years. likes you. The cliffs like you. trust the world with your body. Please enjoy this amazingly charming video of architect and artist Luigi Prina (via ArtNau....see the article here). Doesn't it make you want to camp out beneath those beautiful ships, drinking coffee with Luigi? To learn even more about Prina's work, read the original article here on Blinking City. From me and my beloved chicken tape dispenser (thanks for this many-years-ago birthday present, Heather! ), Happy New Year! a) Hope is the thing with feathers that says "bok bok." 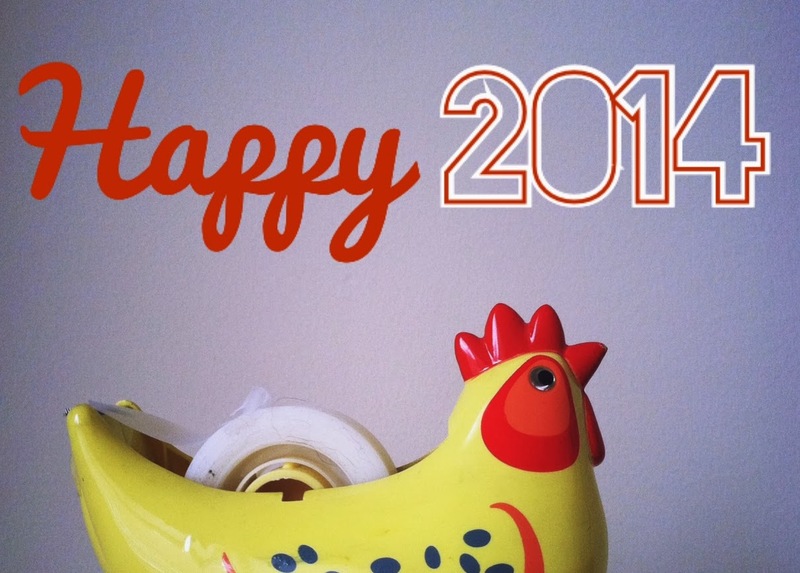 b) Don't be chicken in 2014. No offense to the chickens. c) This year, cross any roads you damn well please. d) Divvy eggs up amongst lots of baskets and when you count them remember that they aren't chickens just yet, friend. Let me know which suits you best. You got to know your chicken. Sitting still to look with better eyes. It’s how we beckon to the deep magic. Call the trees down from themselves. All places shall become leafed and needled. stones. The closest ones will wobble closer. You can’t build your house here. The deep magic will have no neighbors. We take what we can take while we are here. the fog, the poor posture of the trees. pocket. It’s the deep magic checking in.